Marketing teams use Localist to drive traffic and generate leads for their events. Use feeds importers, public forms and an intuitive backend to centralize your organizations’ events into a single system. Localist then displays an interactive event platform for your audience, so they always have a trusted resource for events. 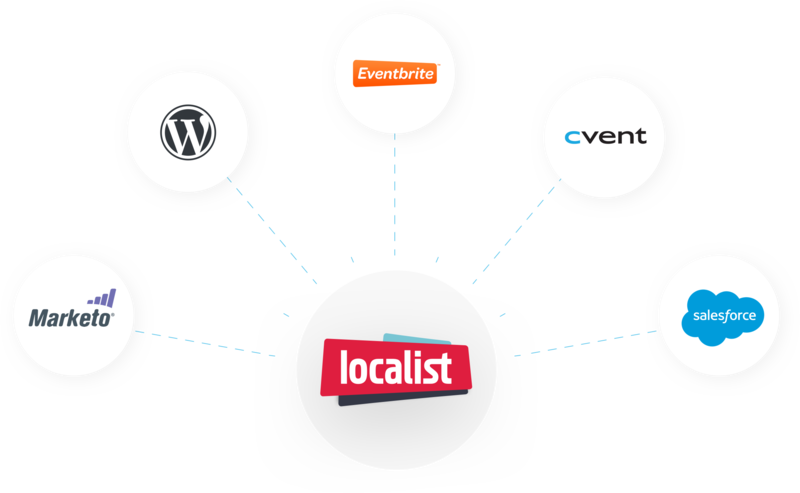 The Localist Event CMS automatically indexes and optimizes every single event that is imported. From structured metadata to semantic URLs, Localist ensures your events are always at the top of organic search results. 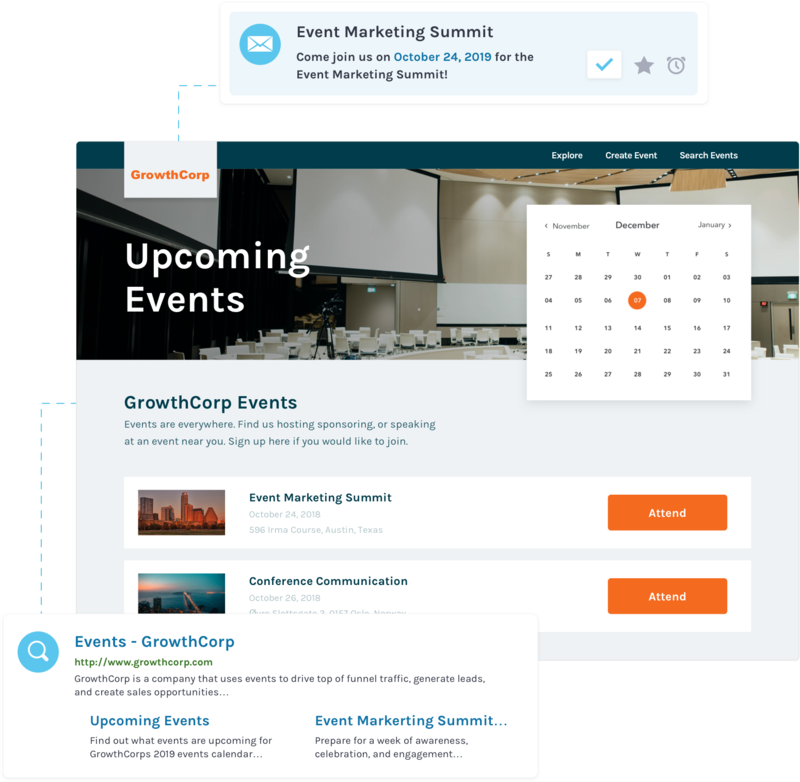 Branded, structured event content for every marketing channel. Drive traffic to your event landing pages with structured social posts, a dynamic event email, event widgets and via organic search placement. Widgets, channel pages, and powerful segmentation tools allow you to address your entire audience with a precise, branded experience. From prospects and partners to current customers and employees, Localist allows you to engage multiple audiences on a single platform. Every event has a goal. Therefore, every event listing should drive users to that goal. Localist automatically creates branded event landing pages for every event; increasing discoverability and driving lead capture. Link to an external event landing page, embed event registration into an email or use Localist Register. 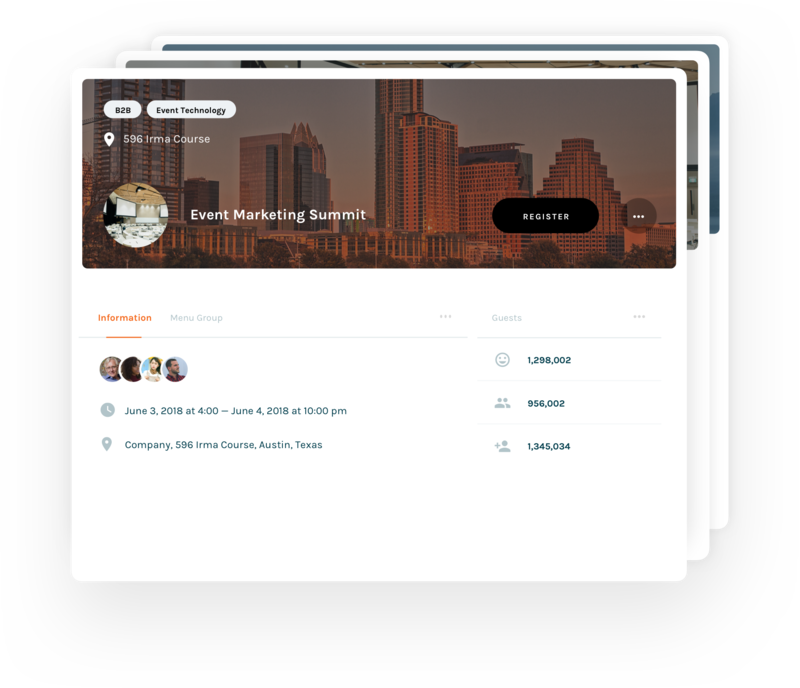 Localist aims to connect your event marketing stack, eliminating workflow issues and data silos. Localist’s integration with Google Analytics and Google Tag Manager allows your team to capture interaction behavior on your event calendar, event landing pages and just about every piece of event-related content. Link to an external event landing page, embed any registration tool onto a Localist landing page or use Localist Register. Localist operates at the top of the event marketing funnel by making your events discoverable and distributing traffic to the appropriate conversion pathways. Integrate ad spend, track registrations and push user data to Salesforce, Marketo and more. 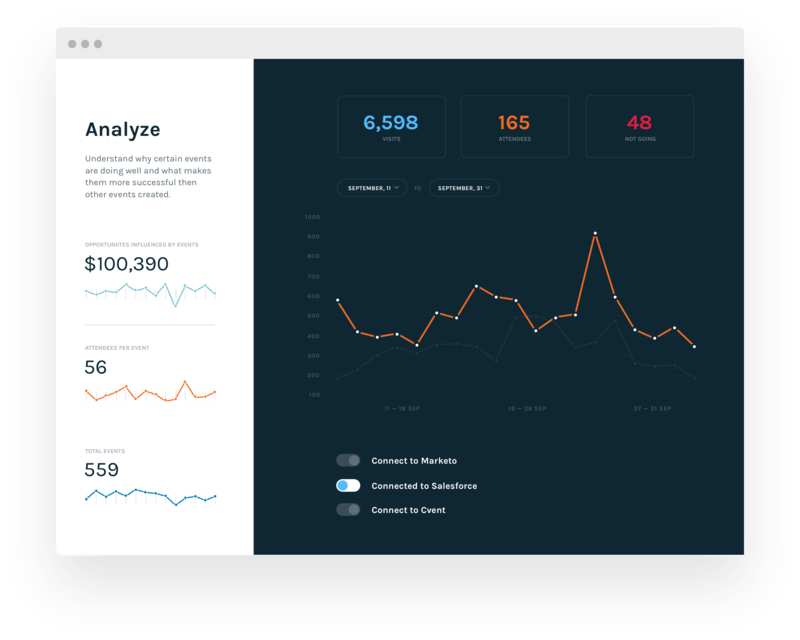 Localist connects with 100s of marketing tools to prevent data silos and empower your marketing team. Do I Need an Event CMS?